Douglas Dunn was born in Inchinnan, Renfrewshire. After studying librarianship at Glasgow University he worked as a colleague of Philip Larkin in the Brynmor Jones Library at the University of Hull. In 1991 he was appointed Professor of English Language and Literature at the University of St Andrews. At times lyrical, at times discursive, his poetry is rooted in personal experience. The social and political concerns that inspired 'Terry Street' (1969), 'The Happier Life' (1972), 'Love or Nothing' (1974) and 'Barbarians' (1979) broaden out in 'St Kilda's Parliament' (1981), in which he moves with scintillating ease through a multiplicity of moods and themes. He returned to Scotland from Hull following the death of his wife, Lesley, in 1981. 'Elegies' (1985), a profoundly poignant evocation of love and loss, won the Whitbread Book of the Year Award. His 11th poetry collection, 'The Year's Afternoon', was published in 2000 to great critical acclaim. Douglas Dunn has also produced a verse translation of Racine's 'Andromache' (1990), two collections of short stories and a play. 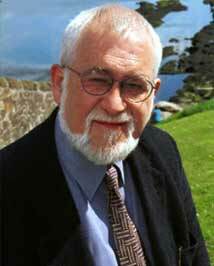 He has edited a number of books, including 'The Faber Book of Twentieth Century Scottish Poetry' (1992). Douglas Dunn, St Andrews, 2000.